These taste like cookies, and from the picture, they look like cookies, but they're muffins - very yummy, decadent ones at that! Little chef Jess whipped these up, and she said they were really easy to make and we had all of the ingredients on hand, which is always a bonus. We found the original recipe here. Combine wet ingredients in bowl first, then stir in dry ingredients until just combined. Pre-heat oven to 350 degrees, and spray muffin pan with cooking oil. Fill each muffin cup to about 3/4 full. Bake muffins for 18 minutes. 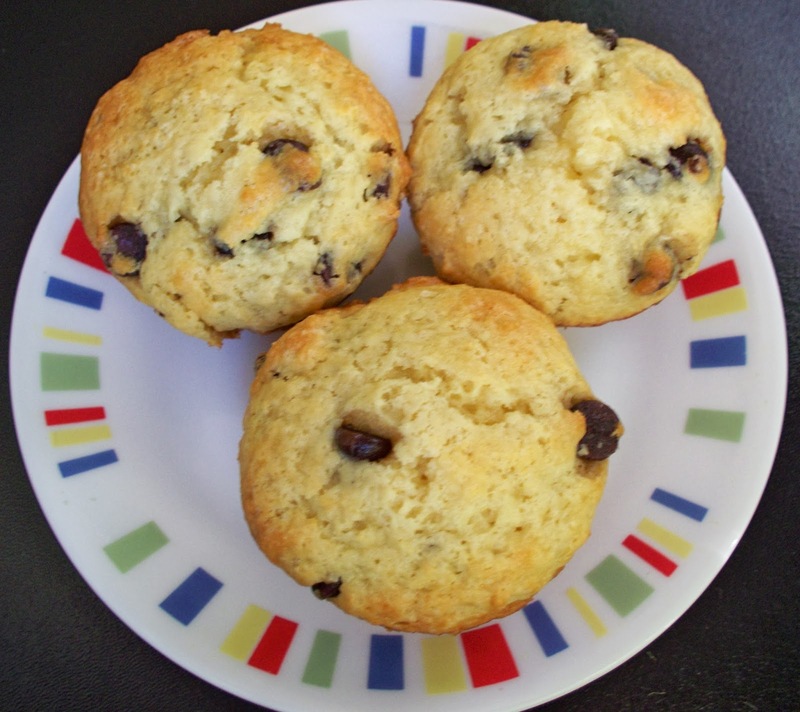 Let cool for 10 minutes, then put muffins on a cooling rack.